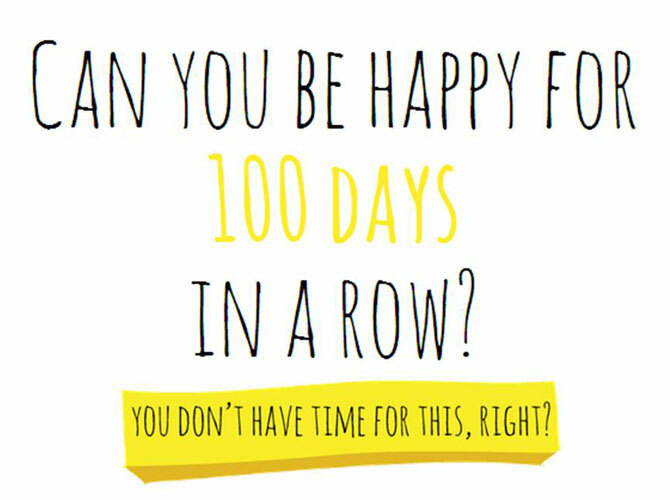 Can you be happy for 100 days in a row? This is the challenge being posted by an online project called 100 Happy Days, where people are encouraged to enjoy and appreciate every moment of every day and track their progress through pictures. It doesn’t have to be anything major; it can be a cute puppy, an ice-cold Starbucks Frappuccino, a beautiful sunset—anything that makes you appreciate the beauty of life. To join the project, all you have to do is register to join the challenge on www.100happydays.com and pick a platform on which you want to chronicle your happy moments (Instagram, Facebook, or Twitter). Each photo you post should be tagged with the hashtag #100happydays and your own personal hashtag (e.g. #100happydaysofcosmo). If you want to keep your photos private, you can send them to myhappyday@100happydays.com. Sounds fun, right? We can’t wait to start our own 100 Happy Days project and we think you should, too!